Wrongful death is a legal term used in Maryland to describe what is usually one-half of the two claims that surviving family an bring when there is a fatal accident - usually from medical malpractice, motor vehicle accident or defective product – caused by the negligence of another person or company. The wrongful death attorneys at Miller & Zois have a history of maximizing the trial and settlement value of these cases, helping surviving family members recover from both the emotional and economic loss they have suffered. How Does a Wrongful Death Action Work? A wrongful death claim is a claim brought, under the Maryland wrongful death statute, on behalf of the survivors of a wrongful death on their own behalf for the loss of their loved one. The estate of the victim also has a claim in Maryland called a survival action. In Maryland, unlike some other jurisdictions, a survival action is made by the personal representative of the estate on behalf of the estate for the recovery of damages for injury to a fatally injured person. It is a common sense notion that when people are killed by the negligence of another person, their families and loved ones have the legal right to seek compensation for both the economic loss caused to them by the death as well as the pain and suffering of losing someone you love. Historically, wrongful deaths were not recognized as claims in Maryland. Under the common law, when a person was killed as a result of the negligence of someone else, any personal injury claim that could be made for the accident terminated with the victim's death. Today, Maryland, like every state, has a statute that allows the family to recover in the event of a wrongful death. Our Maryland wrongful death attorneys seek compensation on behalf of the victim's family for medical malpractice, motorcycle, car and truck accident claims, and for deaths caused by defective products. There is a cap on wrongful death claims in Maryland (described more fully here). There is no cap, however, on economic damages in a wrongful death case. Usually, what drives values in wrongful death claims is the loss of future earning capacity – what the victim would have earned in compensation if the defendant did not negligently kill the victim. Is There a Statute of Limitations on a Wrongful Death Suit? Under Courts and Judicial Proceedings Section 3-904(g)(1), the statute of limitations on a wrongful death claims in Maryland is three years from the date of the death of the decedent. There are exceptions to this rule but this is the applicable limitations period in the lion's share of wrongful death cases in Maryland. Theoretically, the statute of limitations in a wrongful death case can be waived either before or during litigation. Practically, this rarely happens. Is Wrongful Death a Civil Suit? Yes, wrongful death is a civil lawsuit brought by surviving family members seeking money damages for the loss of their loved one. How Long Does it Take to Settle a Wrongful Death Suit? Most wrongful death malpractice cases will take between one and two years to resolve either by an out-of-court settlement or a trial. Truck accident death cases usually take slightly less time than a malpractice case. Car accident death claims can take one to two year but often resolve much more quickly. The Average Payout Settlement for Wrongful Death? The average payout settlement in a wrongful death case depends on the type of case. The largest wrongful death settlements we see are in truck accident cases because there is usually plenty of insurance coverage. 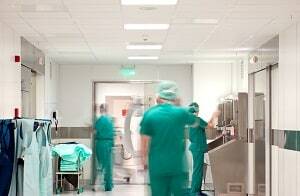 Medical malpractice wrongful death cases are a bit less than truck accident cases. Car accident cases can have high settlements but are sometimes hampered by limited insurance coverage. Is there a cap on damages in wrongful death cases? There is no cap on economic damages in wrongful death cases in Maryland. The most plaintiffs can get in non-economic damages under Maryland damage cap in a wrongful death case in 2018 is $2,112,500. The most plaintiffs can get in a wrongful death malpractice case in 2018 is $1 million. You can sue a family member for wrongful death. This happens under the best of circumstances in car accident cases where one family member negligently causes an accident that kills another. If there is insurance, it makes sense for the other surviving family members to make a claim. What Happens When a Person Dies During a Lawsuit? If the plaintiff dies during a lawsuit, the plaintiff's estate takes over the claim. If the defendant dies, the estate can be substituted as well. Typically, if the defendant dies it has little impact on how the claim proceeds. Our lawyers have handled scores of wrongful death cases, helping families navigate the difficult legal issues that almost invariably occur with what is often the sudden, unexpected accidental death of a parent, spouse, or child. As attorneys experienced with the handling of wrongful death and survivor's claims, we are committed to handling all the legal aspects for you and your family. We can handle the legal issues in the wrongful death claim against those responsible, so the family can concentrate on the difficult emotional issues in losing a loved one. If you have lost a loved on in a fatal Maryland car accident and would like to speak to a lawyer about your potential wrongful death claim, call one of our lawyers at 800-553-8082 for a free, no obligation consultation. You can also get a free Internet consultation. The Difference Between a Survival Action and a Wrongful Death Claim in Maryland: an explanation of the two types of claims that exist... and what that means to you.